It’s time, the brand new Podgressive EP031 is here! So, here is the live recorded episode from our event! 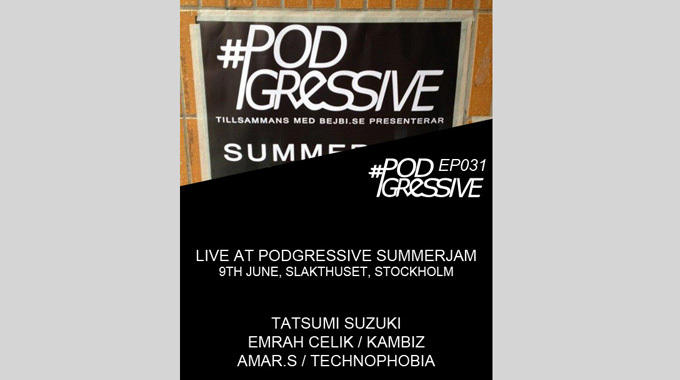 We are proud to present Podgressive EP031 live at Podgressive Summerjam together with Podgressive.com, Slakthuset and Carlsberg. The live sets was originally like 5-6 hours and Tatsumi have chosen the best parts for this episode. There are no tracklists at this moment, but we will try to get our artists to ID their tunes and post it as soon as we get them. Thanks to all the people that came to this wonderful night. And as we say in the episode, we are about to set a new date for another party. Suggestions and requests are welcome via mail.